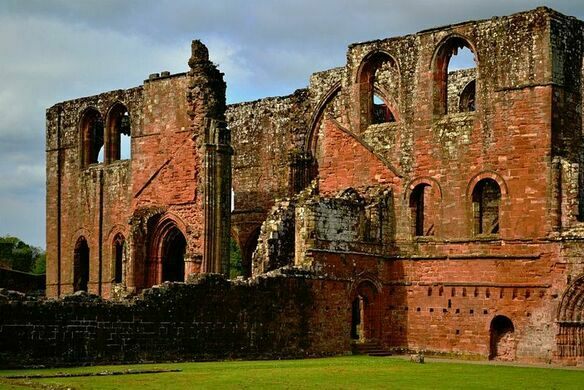 What was once England's second-richest abbey is now a haunting ruin. 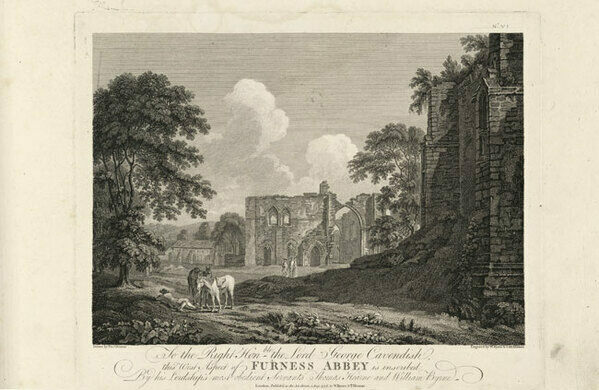 Once home to a powerful and wealthy monastic order, Furness Abbey has been in ruins for centuries. The largest known medieval map of the world. London's most popular recording studio, located in the capital's East End, runs partly on solar power and has played host to some of the world's biggest acts. The abbey was founded back in the 1120s by Stephen of Blois, the future king of England. 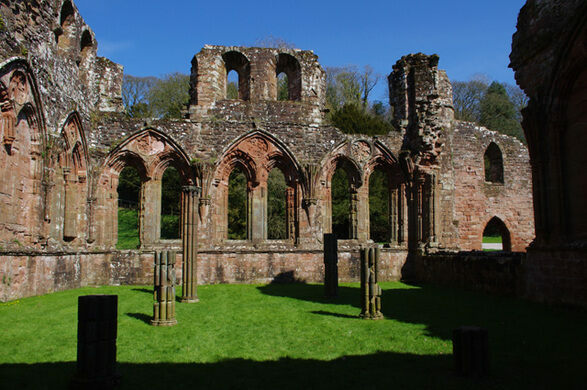 For about 400 years, Furness Abbey belonged to Cistercian monks, who were part of a reform movement of religious men who thought the Benedictine lifestyle had become too lavish. 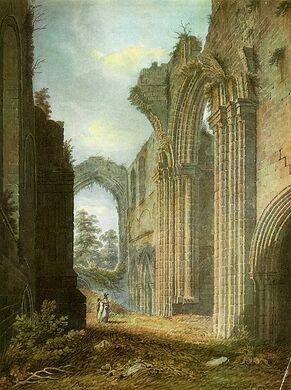 But as it turns out, the abbey itself would become rather lavish. 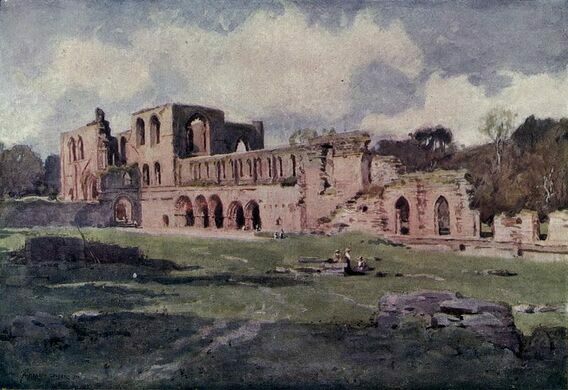 Over the centuries, kings kept increasing the abbey’s rights and its land holdings. The agricultural order, which raised sheep, became wealthy and powerful in its own right, eventually functioning like a feudal manor. 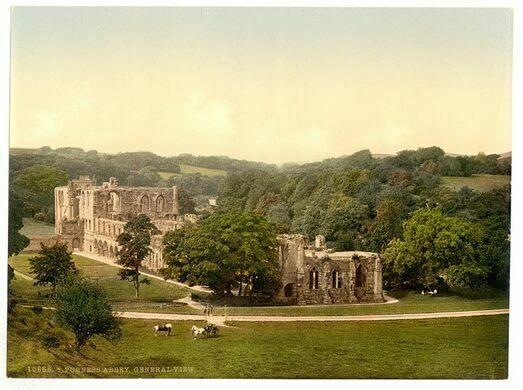 By the time Henry VIII had the abbey dissolved in 1537, it had become the second richest abbey in England. 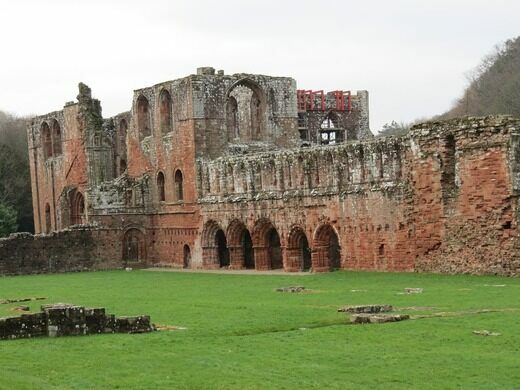 The ruins that can be seen today are made of red sandstone and date back to the 12th and 13th centuries. 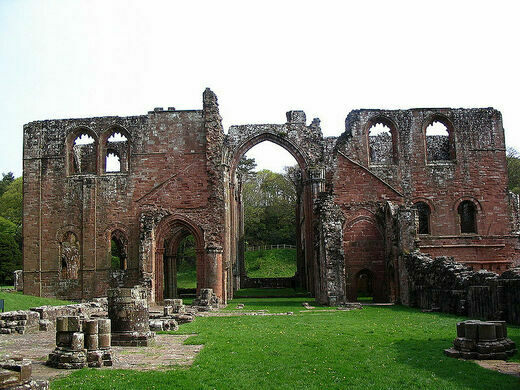 After the abbey’s dissolution, the place was picked over by robbers in the 16th century and antiquarians in later years. Recently, the oak wood in the building’s foundation has been foundering, with cracks showing up in the walls. The work to conserve the walls turned up an unexpected discovery—the grave of an abbot, with a jeweled ring and a silver-gilt crozier decorated with an image of the archangel Michael killing a dragon. The ring, which was large and probably meant for a man with chubby fingers, and the crozier are hints of the wealth the abbey once held. The remains of the abbey can still be seen in the incredibly named “Vale of Nightshade.” In addition to treasures like the ones found in the abbot’s grave, the site offers “rare and remarkable stone effigies.” It’s also rumored to be haunted. A succinct inscription commemorates the ebb and flow of a woman's life. These Roman ruins in England’s Lake District are 2,000 years old, but look pretty good for their age. One of the highest Roman forts in Britain is set amid dramatic scenery on a notoriously difficult road. This 17th-century pub once had a hole in its wall so the neighboring blacksmith could easily access beer. Britain’s highest medieval monastery is a remote ruin nestled at the head of a valley 1,240 feet above the sea. These medieval monastery ruins are surprisingly overlooked by most tourists. 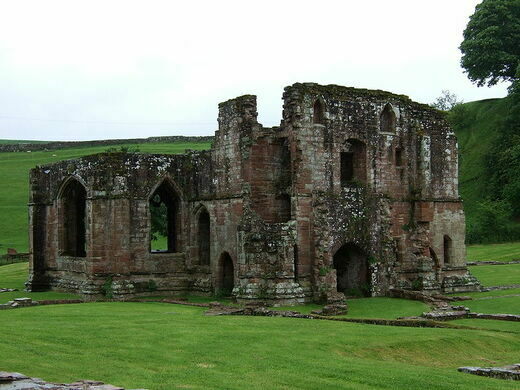 The ruins of a 13th-century monastery that long served as a place of refuge from wars and raids.